The Iolanthe was a British steam driven, armed merchant ship of 3081 gross tons, measuring 325ft long with a 49ft beam and was built in 1904. 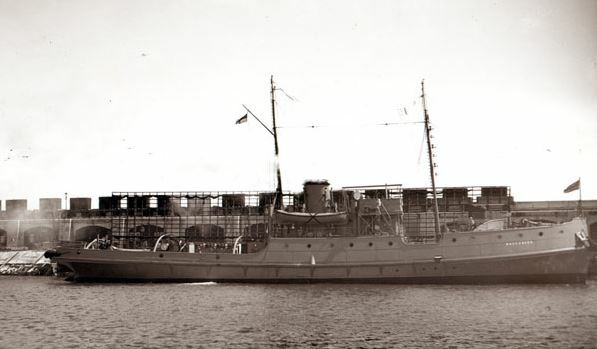 Bound from Greenock for St Helens, Iolanthe was laden with military supplies and a big cargo of hay in her holds, and railway wagons on her deck. At 11pm on 4th January 1918 she was 10 miles SE by E of Portland Bill, having steamed quickly past the Shambles Lightship for fear of being lit up, with Captain James Scott maintaining a strict watch for submarines. Two gunners manned the 12-pounder gun on the stern. However, none knew that they had been tracked for some 20 minutes by U-boat captain Oberleutnant Johann Lohs who, at 11.05, released a torpedo into Iolanthe's port side, close to No 3 hold, causing a colossal explosion and ripping a huge hole in her hull. The ship soon started to settle. Just after midnight, Captain Scott gave the order to abandon ship. As they pulled clear, they had their first sight of the U-boat disappearing seawards. As two patrol trawlers tried to take the steamer in tow, Iolanthe sank. Her crew of 30 Britons and one Norwegian were all landed safely at Weymouth. Her final resting place was only discovered in the early nineties – amazing given her size and position. The wreck is now fairly well collapsed but stands 7 metres in places and the bow is still intact. Distance from Weymouth 15 miles. 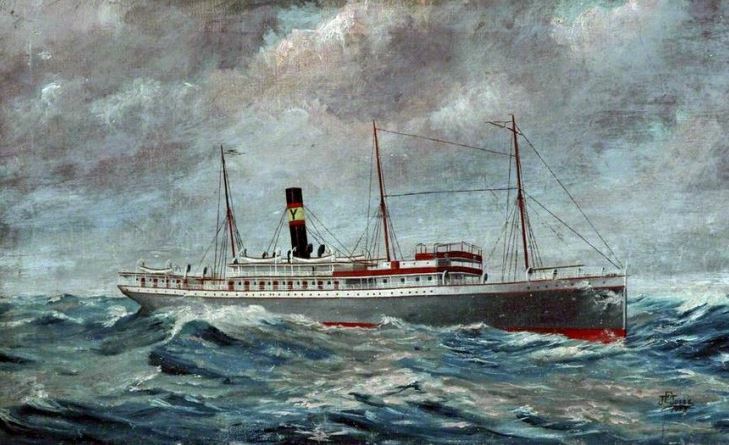 SS Avanti was a British steamer of 2,128 tons, built by Akt. 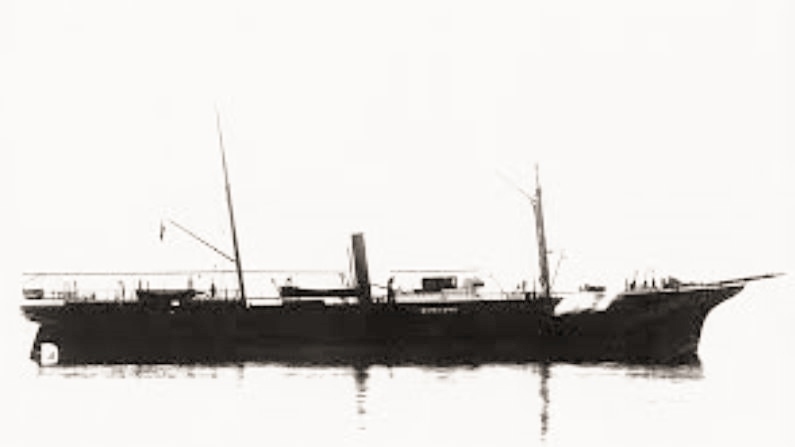 Burmeister & Wain, Copenhagen in 1912 and operated at the time of her loss by The Shipping Controller (Lambert Bros., Ltd.), London. She was 83m long powered by a triple expansion engine, two boilers with a single screwand capable of 8.5 knots. 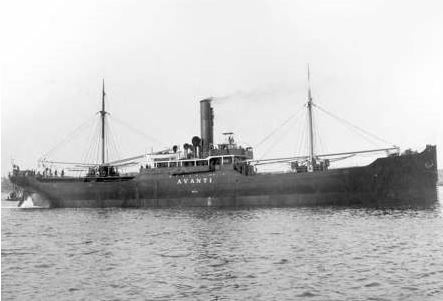 On February 2nd, 1918, Avanti, was on a voyage from Bilbao to West Hartlepool via Falmouth with a cargo of iron ore, when torpedoed by the German submarine UB-59 (Erwin Waßner), 4 miles east-south-east of St Alban's Head. 22 persons were lost including the Captain. Today she lies in 42m on a shingle sea bed. Distance from Weymouth 22 miles. 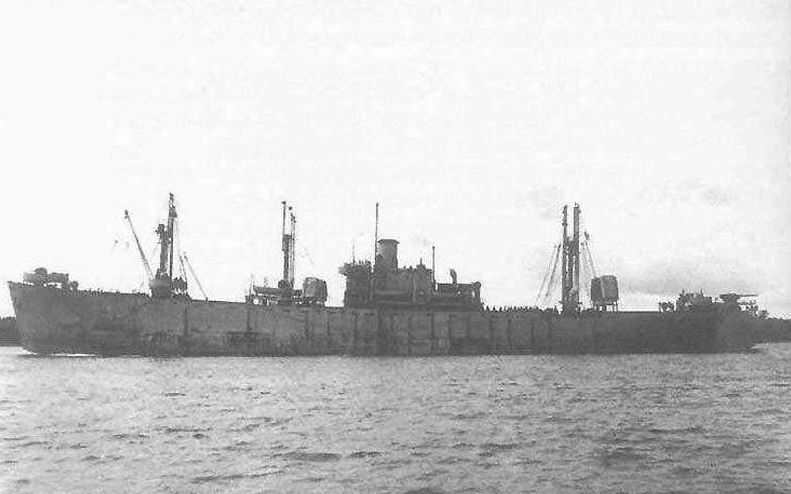 SS Aparima was an armed British Merchant Ship of some 5,704 gross tons and 131m in length. Built 1902 by W. Denny & Bros, Dumbarton she was powered by a 6 cylinder triple expansion engine producing 389hp. She was armed with a single 4.7 inch stern mounted gun. At 00:50 am while en voyage from London to Barry the Aparima was torpedoed without warning by the German submarine UB-40 (the U-boat which also sank the Salsette, LH Carl and many others). The vessel sank in five minutes, giving the crew no time to launch the boats. A total of 26 European and 30 native crew members were lost, the one passenger, who survived, being a pilot. 26 crew were picked up by the Norwegian vessel SS Selun and landed at St. Helen’s, 16 were picked up by a patrol vessel, the rest landing at Saint Alban’s Head. Aparima makes for a superb dive. The bow is breaking away from the hull but largely intact. Her gun sits on the seabed starboard side of the stern. Today she lies in 40-42m depth, standing 8m proud, listing to starboard. Distance from Weymouth 22 miles. The Arfon was built in 1908 in Goole, for the Peter Steam Trawling Company of Milford in South Wales as a 227-ton steel trawler. The Arfon was requisitioned by the Royal Navy in 1914 and fitted with a 6 pounder gun and mine-sweeping apparatus. HMT Arfon worked out of Portland Harbour naval base sweeping mines laid by the UC-class of mine laying U-boats along the inshore shipping lanes off Dorset for nearly three years before striking a mine laid by UC-61 on 30 April 1917. The Arfon is one of eleven vessel losses credited to the UC-61 before her own loss in July 1917. The explosion blew the bow off the ship which sank in under 2 minutes. Ten of the Arfon’s crew perished in the loss, including the vessel's captain, John Abrams, RNR, with only three survivors who were blown overboard by the mine's explosion. The Arfon is unique in that it had been untouched for 100 years, until it was first discovered and dived in 2014 by Bryan and Martin Jones of Swanage Boat Charters. 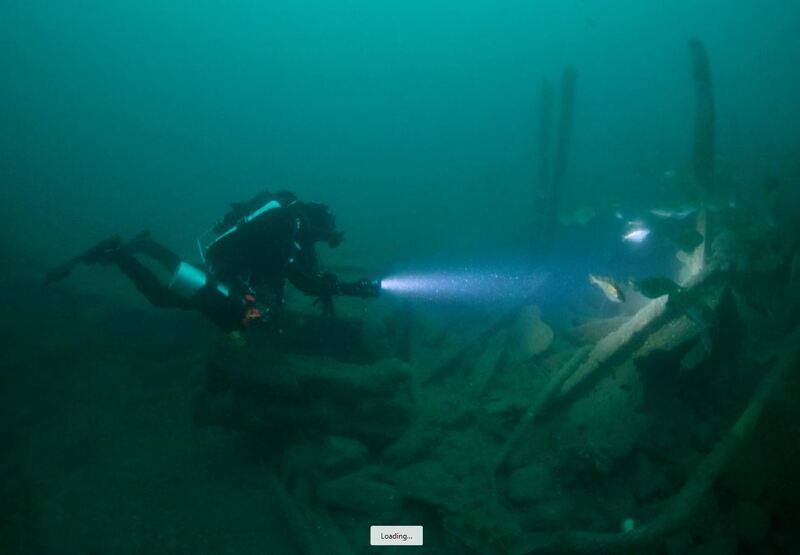 The Arfon is protected under the Protection of Wrecks Act 1973, which means that access to the site is restricted only to divers who have been granted a licence from Historic England. Distance from Weymouth 16 miles. Minerva was a three-masted iron screw steamship of 518 tons, with a 2cylinder compound engine Launched in August 1864, formerly named the Marie, she was sold to H. M. Wrangell Haugesund in 1895, and renamed the Minerva. On May 10th, 1917, Minerva, on voyage from Caen to Swansea in ballast, was sunk by the German submarine UC-61 (captained by Georg Gerth), 15 miles west of Portland Bill. There were no casualties. Today she sits upright in 44m with much of her hull and deck supports still intact. She still has her distinctive clipper bow. Distance from Weymouth 19 miles. Buccaneer was a British armed tug, built in 1937 measuring 165ft with a beam of 32ft, and with a tonnage of 840 gross tons. She was equipped with a three cylinder triple expansion engine, transmitting power to a single screw. Her armament consisted of a 3 inch gun mounted on her bow. 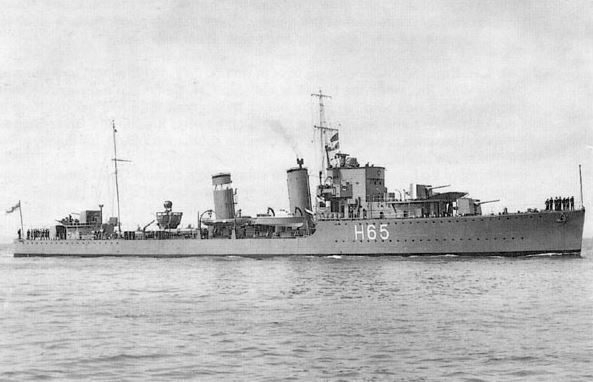 On the 26th August 1946 whilst towing a target for a naval exercise she was struck by a 4.5 inch shell from the destroyer HMS St. James, which badly damaged and sank her. Today she sits east to west on her side in 44m. The wreck stands up 8m from the sea bed. She has started to deteriorate over the last few years but there is much to see and for a tug she had some very high quality fittings. Distance from Weymouth 17 miles. 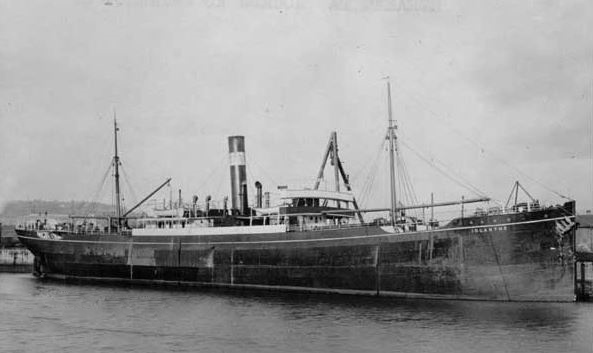 SS Salsette was a 5,842 gross tons passenger mail liner, measuring 440 ft in length. She was built in 1908 by J. Caird & Co. and owned by the Peninsular & Oriental Steam Navigation Co. Her 1 535 n.h.p. quadruple expansion engines gave her a speed of 20 knots. On July 19th, 1917, Salsette was on a voyage with 258 crew and 31 passengers from London to Marseille and Bombay. Some documentation has her carrying 20 tons general cargo, others to a much larger cargo of up to 700 tons. She was also carrying 23 bags of confidential mail under the personal charge of the master. As Salsette passed the Shambles on the 20th, she had already been spotted by the German U-boat SM UB-40 under the command of Oberleutnant Hans Howaldt. He positioned his U-boat so Salsette would pass close by, and as it did so released one of its torpedoes. The torpedo smashed into the starboard side amidships killing 14 of her crew and destroying several lifeboats. The captain of Salsette, gave orders to abandon ship, and threw the confidential papers overboard in a weighted bag. In just 5 minutes all aboard were evacuated bar 15 crew who unfortunately perished in the engine room. Torpedo boat 80 went to Salsette’s aid. They arrived to find Salsette on an even keel, but listing heavily to port. The torpedo boats blanketed the area with depth charges – meanwhile Howaldt and his men sat it out on the bottom. Salsette sank within 15 minutes of her single torpedo strike. Salsette was just one of the 100 ships to fall victim to SM UB-40 during the U-boat’s 28 patrols. A significant number of UB-40’s sinkings were in Dorset waters, including the LH Carl, sunk on the same day. Today, Salsette lies on her port side in 45m with her starboard rail around 32m. 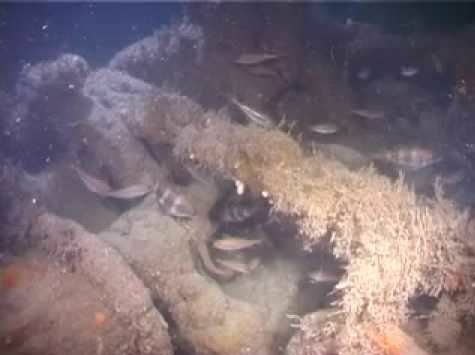 The wreck's hull structure remains largely in tact and makes her one of Dorset's iconic dives. The SS Grane was a Norwegian steamship of 1,122 gross tons, 230 ft (71m) long with a beam of 30 ft (9m). She was built in 1899 in Bergen, and was torpedoed on the 9th March 1918 by UB80 whilst en route from Swansea to Rouen with a cargo of coal with the loss of 2 crew. (The same U-boat, UB80 also sunk the Martha on the 7th and the Ailsa Craig on the 15th of that month). Today she lies in 45-47m, standing 6-7m proud in places. Distance from Weymouth 17 miles. 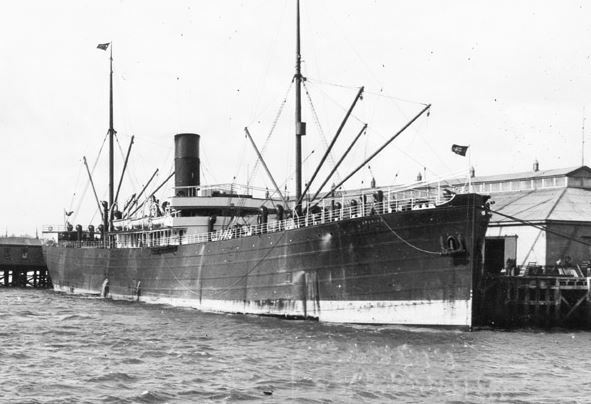 Gorizia SS was a Canadian Cargo Steamer of 1,957 tons built in 1907 by A McMillan & Son, Dumbarton, for Montreal Transportation Company, and originally named the SS Glenmount. She measured 76m long and was powered by a single 3-cylinder triple expansion engine, driving her single screw. 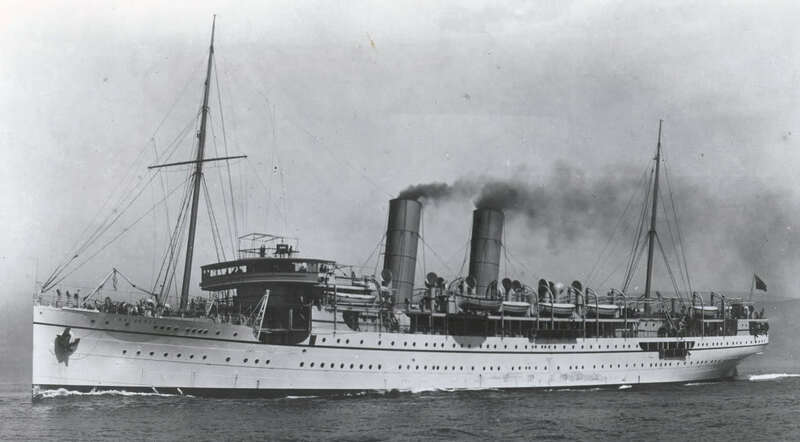 In 1917 she was acquired by the Oriental Navigation Co., Montevideo, Uruguay and renamed Gorizia. Whilst on passage from New York for Le Havre on the 30th April 1917 she was captured and scuttled by German submarine UC-61 in the English Channel. Distance from Weymouth 21 miles. Stancrest, originally named Glenmore, was a steam powered coastal cargo ship class of 462 tons built in 1920 She measured 48 long by 7 m , and her single screw was powered by a single 3 cylinder triple expansion engine. 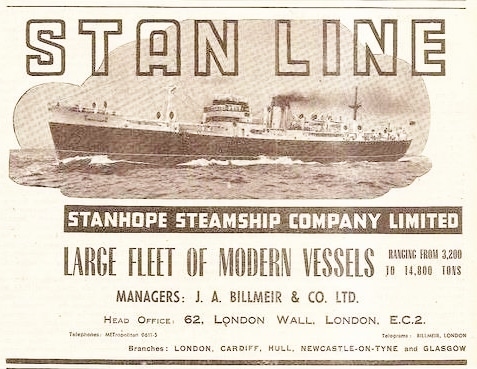 At the time of her loss she was owned by the Stanhope Steamship Company Ltd. Stancrest SS left Northfleet (on the Thames) on 27th February 1937 with a cargo of 10,817 paper bags of cement weighing some 554 tons on route from London for Bridgewater. The cargo was piled right up to the height of the hatch beams. According to the transcript of her inquest the cargo was securely stowed and not in a manner which would render it to shift. The vessel went missing after passing St. Catherine's Point and sank west of Portland Bill on the 28th February 1937 with the loss of 8 crew. Distance from Weymouth 13 miles. SS Martha was a 653 ton Belgian cargo ship built in 1905 by the Grangemouth & Greenock Dockyard Co., measuring 56m by 8m in the beam. Her triple expansion engine gave her a speed of 11 knots. On March 7th, 1918, Martha, on a voyage from Falmouth to Calais with 800 tons of coal, was sunk by the German submarine UB-80 (Captian Max Viebeg), 5 miles SW of Portland Bill. Today the wreck is upright and relatively intact. The bow area is broken and twisted. There is a part buried anchor on the starboard side. The boiler is difficult to see but the engine is well exposed. The counter stern is relatively complete as is the four blade propeller and rudder. The scour under the stern is at 50m. The starboard hull is intact back to midships where the torpedo struck. At the stern are shells which appear to be 75mm. Distance from Weymouth 15 miles. Built in 1910 by J. Crown at the Monkwearmouth yard, no. 139, she was fitted with a triple expansion, one single boiler and a single screw, and was capable of 9.5 knots. Her war years saw her involved in several incidents. In 1940 she beached near Bridlington but was refloated. On 9th July 1942, the Gripfast was on its way from Barry to Sheerness when a number of ships came under E-boat attack. 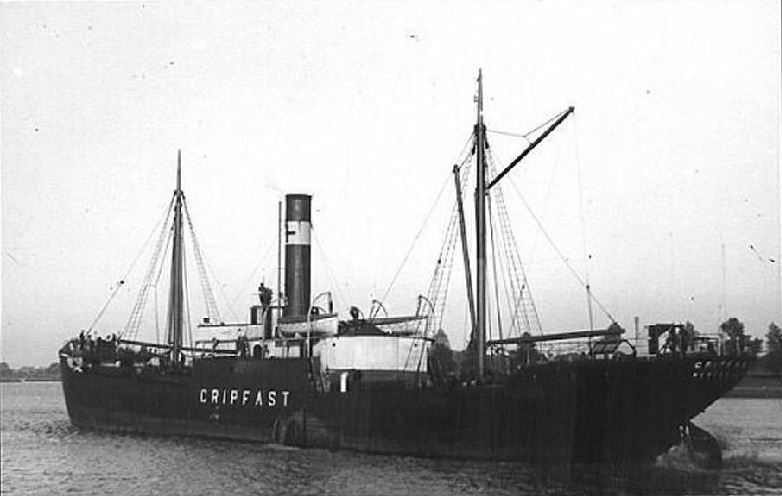 Gripfast escaped that attack herself, though stopping to rescue three men from the doomed ship the SS Rosten. By 3 am the attack had ceased, but some hours later a German aircraft dropped a bomb right onto Gripfast’s deck which then returned to deliver machine gun fire killing 5 of her crew. It’s almost unimaginable what must have been going through the minds of those 3 sailors picked up from the sea only to be sunk for the second time in a single day. Today Gripfast sits east-west and upright, with her hull largely intact and makes a great dive. Distance from Weymouth 12 miles. 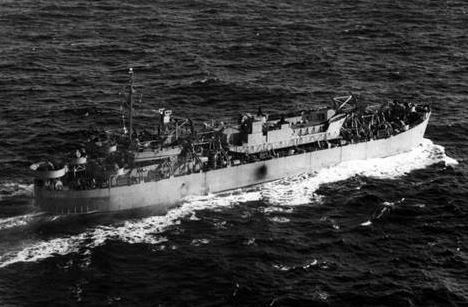 The Black Hawk was a 7,191 ton US Liberty ship, built 1943 and powered by a single 3-cylinder triple expansion engine. She measured 441ft by 57ft and was armed with a 4 inch stern mounted deck gun. On the 29th Dec 1944, she was bound from Cherbourg for Fowey in ballast, part of convoy TBC 21. Another ship, freighter Arthur Sewall is torpedoed and taken under tow for Weymouth. The Black Hawk herself is also hit by a torpedo. The blast wounds four of the ship´s 41-man merchant complement (one of whom dies later) but there are no casualties among the 27-man Armed Guard. However, as for the ship itself the blast causes the vessel to rupture and the stern third of the ship breaks off and sinks. Bizarrely though the remainder of the ship remains afloat and was towed to Warbarrow Bay and beached, the survivors being taken on board British corvette HMS Dahlia. Another Corvette in support, HCMS Calgary, depth charged the culprit U322 as it made its escape to the south. 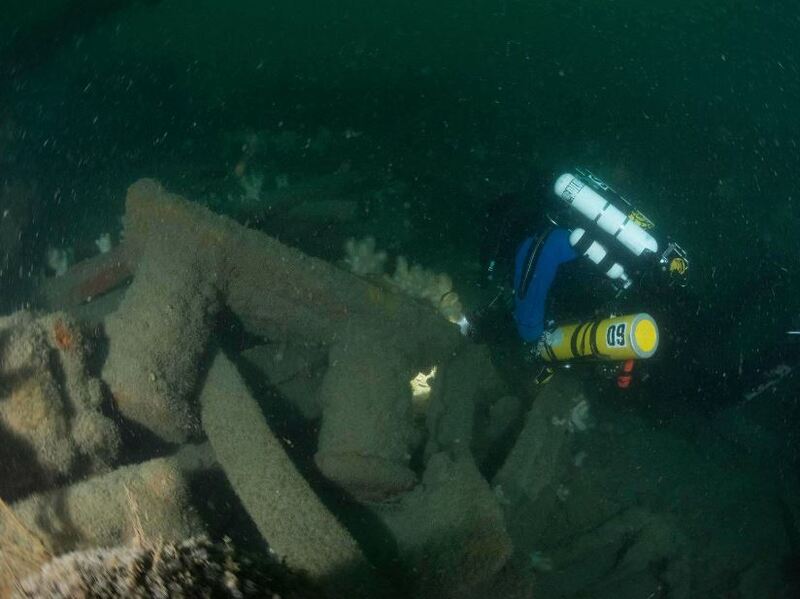 The stern section today lies on its side in 48m and rises some 12m from the sea bed. 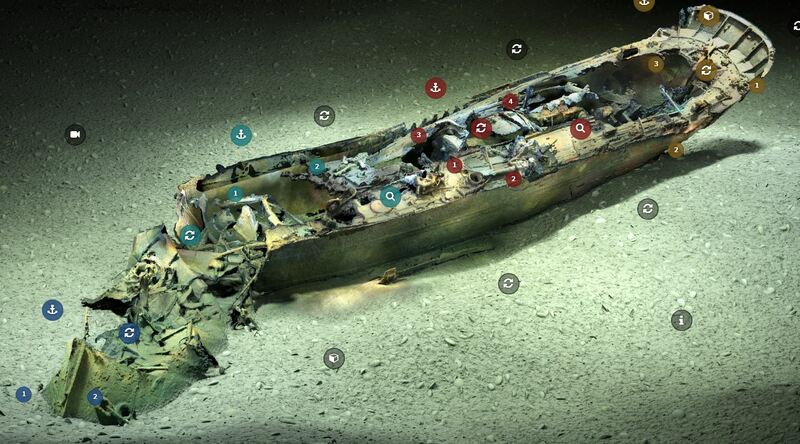 The area around the wreck is strewn with many interesting items, making a fascinating dive. Distance from Weymouth 12 miles. On the 29th Dec 1945 a Canadian Corvette, HMCS Calgary (K231), came to the aid of liberty ship the Black Hawk which had just been torpedoed. A mile or so to the south of Black Hawk the corvette dropped a series of depth charges and saw oil at the surface, although a kill was never confirmed. The U-boat had indeed been hit and went down with all 52 hands including its captain Gerhard Wysk. Whilst the submarine later discovered at this spot was assumed to have been the U-boat that sealed Black Hawk’s fate, there has been much discussion about its identity, and some references may still refer to it as the U772 or the UC62. A dive from Wey Chieftain IV by Innes McCartney in 2014 confirmed it as most likely being the U322, a German type VIIC U-boat of 860 gross tons, 67m long, with a beam of 5m x 6m. U322 was powered by two diesels engines producing 3200 hp, and two electric motors. She carried an armament of 14 torpedoes, and a 8.8 cm L/45 deck gun. There are not as so many wrecks from the 1960s in the area, but here is one. Evertsen was a Dutch coastal cargo ship built in 1961, measuring 56m (154ft) long and 9m (25ft) in the beam, this vessel had a gross tonnage of 392. She was a single screw powered by a 700 bhp diesel engine capable of 11 knots. In 1862 an Act of Parliament was passed authorising the London and South Western Railway Company to own and operate ships. The first vessel built for the London and South Western Railway Company Channel Islands service was the ill-fated Normandy built in 1863 by J Ash and Company of London. Engined by J Steward of Blackwall, she was an iron paddle mail steamer of 600 tons, 210 feet long and with a 24-foot beam with a speed of 15½ knots. Normandy had 130 passenger berths and carried 200 tons of cargo. Her maiden voyage to Jersey was on 19 September 1863 and she continued to operate to the islands until she was lost in 1870. Normandy had already suffered serious damage in a collision on 21 April 1864 when she hit the liner Bavaria and six years later, on a voyage from Southampton to the Channel Islands at around 03:30 on 17 March, 1870, she was involved in a second, this time fatal, collision south of the Needles with a Baltic trader of 900 tons, the ss Mary and sank 20 minutes later, with a loss of 33 lives, including 16 crew. Another 31 persons were saved. The Mary was towed to Southampton, and the survivors were brought to Jersey by the Havre. The mails were lost, but later a floating bag was picked up and the mail delivered. The Court of Inquiry held the Normandy to blame for the collision. 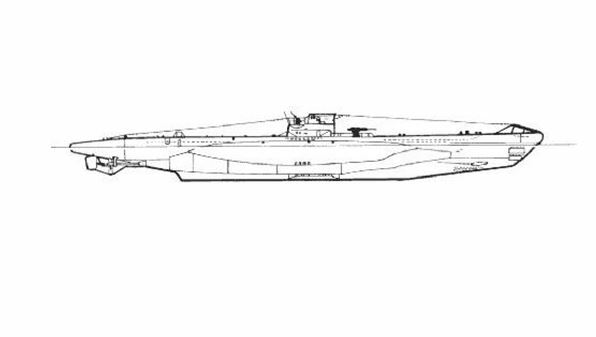 Today the Normandy sits upright in 48-49 metres. Amidships her machinery section comprising her boilers and engines remain very much intact. Only the outline of the bow section visible above the seabed. Distance from Weymouth 25 miles. 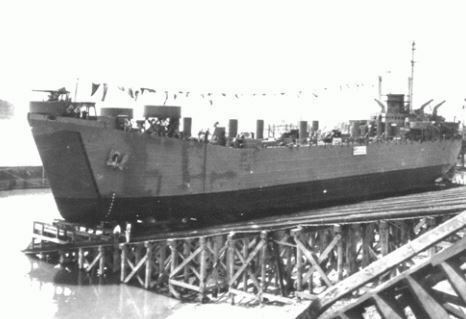 LST-507, a 2366 ton US tank-landing ship, built 1943. Measuring 328ft x 50ft. Like LST 531, LST 507 sank on 28 April, 1944, when taking part in Exercise Tiger practice for the Normandy invasion landings on Utah Beach. LST 507 went down with 16 Army trucks and landing craft on deck and 22 amphibious DUKWs in her hold. Torpedoed by 40-knot German E-boats based in Cherbourg, 202 US servicemen from this vessel were killed. In total US 638 servicemen lost their lives in Exercise Tiger. Today LST-507 lies in 50m, her bow almost completely capsized with her entry ramp open to west. The stern lies 200m to south-east upside-down, showing twin four-bladed props and beach-landing skegs. Poking out from under stern is a crushed infantry landing craft. Distance from Weymouth 18 miles. LST (landing ship tank) 531 was an American landing craft built in 1943 designed to carry both troops and heavy machinery. Typical payloads were between 1600 and 1900 tons and may have included tanks, wheeled and tracked vehicles, artillery, construction equipment and military supplies. She measured some 100m long by 15m and was powered by 2 x GM 12-567A, 900 hp diesel engines. She was armed with numerous guns ( 2 x twin 40 mm guns, 4 x 40 mm guns, 12 x 20 mm guns) and could make 12 knots. On April 28th, 1944, whilst taking part in the ill-fated rehearsal for the Normandy landings, Exercise Tiger, nine German motor torpedo boats (of the 5th and 9th German Motor Torpedo Boat flotilla) attacked the convoy of eight US tank landing ships in Lyme Bay, torpedoing and sinking LST-507 and LST-531 and damaging LST-289. The Exercise cost the lives of a total of 638 servicemen. Today LST 531 lies in 50m. Distance from Weymouth 19 miles. 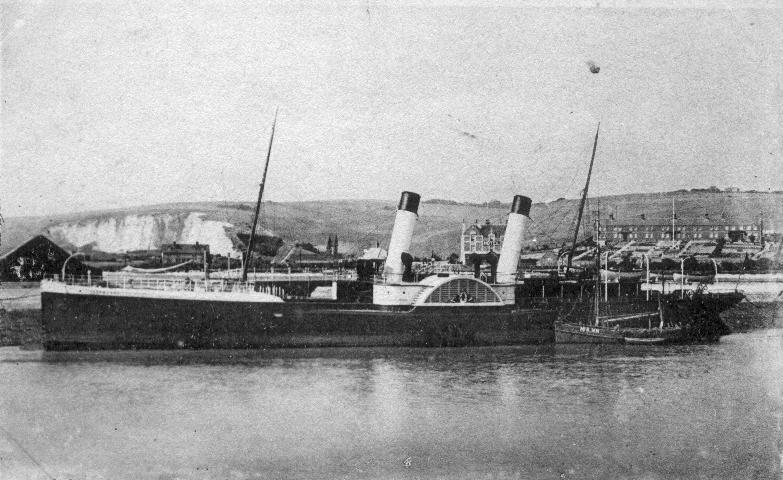 The SS Milo was a 1,475 ton steam vessel, built in 1903 by the Campbeltown Shipbuilding Co. Ltd. and employed as an admiralty collier. The vessel was 240.5 feet long and 16.9 feet in the beam, powered by a triple expansion engine of 207nhp. Captained by Thomas Bennamin Oxland, she sank after a collision with an unidentified steamship whilst in ballast from Rouen to Cardiff, 21 miles SSW of Anvil Point on the 22nd May 1917. 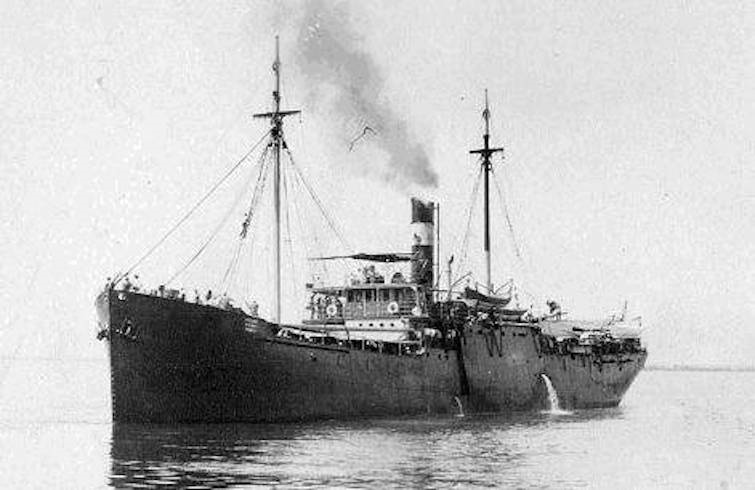 The identity of the wreck assumed to be the SS Milo is based on her position and the finding of the letter M on the wreck, but her identity is by no means a certainty. The wreck lies upright, fairly broken up but standing 5m. Distance from Weymouth 20 miles. SS Valdes was a steamship of some 2,233 gross tons, 265ft long with a beam of 40ft. She was built in 1905 and at the time of her sinking was under the ownership of the Yeoward Line of Liverpool. On the 17th February 1917 she was en route from Manchester to Cherbourg with a cargo of hay & flour. At 11.15 pm she was torpedoed by German submarine U-84 without warning. It was a pitch-dark night, and nothing was seen before the explosion of the torpedo. The master and seven of the crew were thrown into the water as the ship went down. Three men went down with her. The port lifeboat was successfully launched, and 20 members of the crew embarked. The starboard lifeboat was blown to pieces. A trawler picked up the 20 survivors, but two of them died from exposure. Eleven men lost their lives. Today Valdes lies east to west, 7 miles south of Portland Bill, in 52m, and stands up some 7m. Distance from Weymouth 14 miles. HMS Boadecia was a 1,400 ton British destroyer. Her two geared turbine engines gave her a speed of 35 knots. Another victim of WWII, she was hit directly in the forward magazine by an aerial torpedo on the 13th June 1944 which completely blew the fore part of the ship away, sending her quickly to the bottom. She now rests on the seabed in 52m of water, her main section sitting upright to over 6m. She has a large gun on her stern, together with other anti-aircraft guns. What remains of the bow is scattered across the seabed but her midships and stern make for an excellent dive with much to see. She even has depth charges still in the racks. Distance from Weymouth 20 miles. 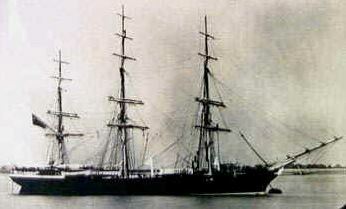 Avalanche was a three-masted iron sailing ship of some 1210 tons, built in 1874, and measured 214ft with a beam of 36ft. The Avalanche left London in September 1877 under command of Captain E. Williams bound for Wellington, New Zealand carrying 63 passengers with a crew of 34 and a general cargo, including pottery and glass. Avalanche passed Portland Bill on the 11th of September 1877 in a force 8 gale, driving rain and huge seas. 12 miles past Portland Bill at around 21:30, tacking into wind, Avalanche caught sight of the Forest, a wooden ship bound for New York with a crew of 21 men commanded by Captain Lockhart coming across her beam. Tragically, it was too late to avoid a collision. The Forest hit the Avalanche amidships almost cutting her in two. The Avalanche sank straight away with the loss of all on board bar 3 who managed to scramble on board the Forest. Forest herself was taking on water, and within the hour, the Forest’s captain gave orders to abandon ship. They launched 3 small boats but 2 sank immediately with the loss of 12 men. The third boat made it to safety carrying 12 survivors - Captain Lockhart, 8 crew of the Forest and the 3 survivors from the Avalanche. Many bodies were washed ashore along Chesil Beach. The Forest stayed afloat and became a hazard to shipping. Eleven days after the tragedy the navy towed it out to sea and blew it up. An appeal fund, launched by friends and relations raised sufficient funds to erect a chapel on Portland overlooking the scene of the disaster as a memorial, which displays one of her huge anchors outside it. Found by divers in 1984, the wreck sits upright, 4m proud of the sea bed, with a slight list to port. The port side is badly damaged near the bow, which is twisted to starboard. The wreck has given up numerous pieces of pottery from her holds and champagne bottles aft. Distance from Weymouth 23 miles. LH Carl was a 1916 ton British cargo steamship, built in 1898 by W. Gray & Co. Ltd., West Hartlepool. 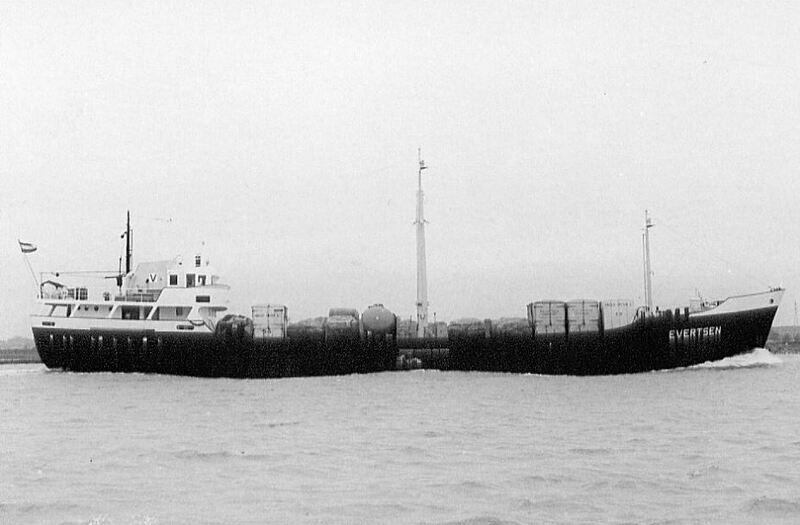 She was operated at the time of her loss by Lambert Bros., Ltd., London. On July 20th, 1917, L H Carl, on a voyage from Barry to Roue with a cargo of coal, was sunk by the German submarine UB-40 (Captain Hans Howaldt), 14 miles W1/2S of Portland Bill. A torpedo struck the ship full square in the boiler room sending her down in fifteen minutes. 2 crew were lost. A large wreck with a large cargo of coal she is a rewarding dive in good vis but tends to be quite heavily netted so caution needed diving her. Distance from Weymouth 21 miles. 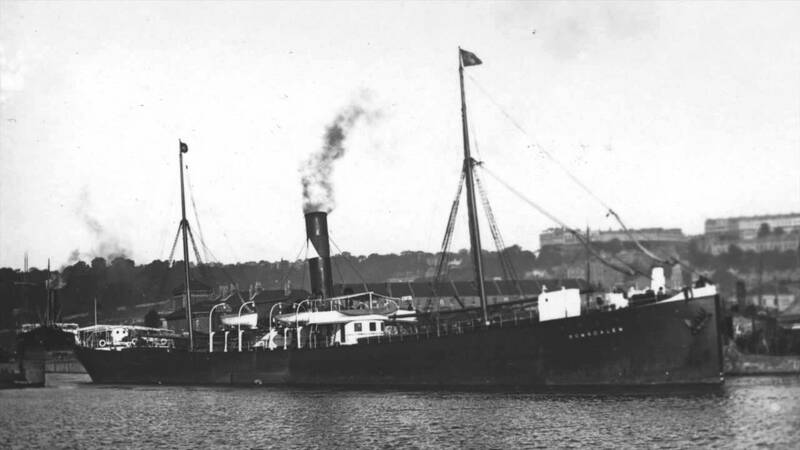 SS Romsdalen was a British steamer of 2548 tons, built by W. Gray & Co. Ltd., West Hartlepool in 1895 and owned at the time of her loss by G. B. Harland & Co. On February 17th, 1917, Romsdalen, on a voyage from Swansea to Calais with a cargo of patent fuel, was sunk by the German submarine U-84 (Captain Walter Roehr), 10 miles southwest from Portland Bill. There were no casualties. Relatively intact and standing an impressive eight metres she makes a great dive. Her holds are full of patent fuel bricks stamped with the name “Phoenix”. Distance from Weymouth 24 miles. The Algarve was a 1,274 ton armed British Cargo Steamer powered by a single triple expansion engine. She was originally built in 1898 by Lobnitz & Company, Renfrew, for owners in Copenhagen. In 1917 she was purchased by British owners. On the 20th October 1917 on route from Rouen to Swansea in ballast she was torpedoed without warning by German submarine UB-38 15 miles WSW from Portland Bill and sunk with the loss of 21 lives lost including her master. Distance from Weymouth 23 miles. The Aracan was a 864 ton full-rigged sailing ship built by T & J Brocklebank at Bransty, Whitehaven, launched on the 14th April 1854. She traded exclusively to China and India, most often to Calcutta, for the Brocklebank Line, and was one of the fastest of the vessels built at Whitehaven. 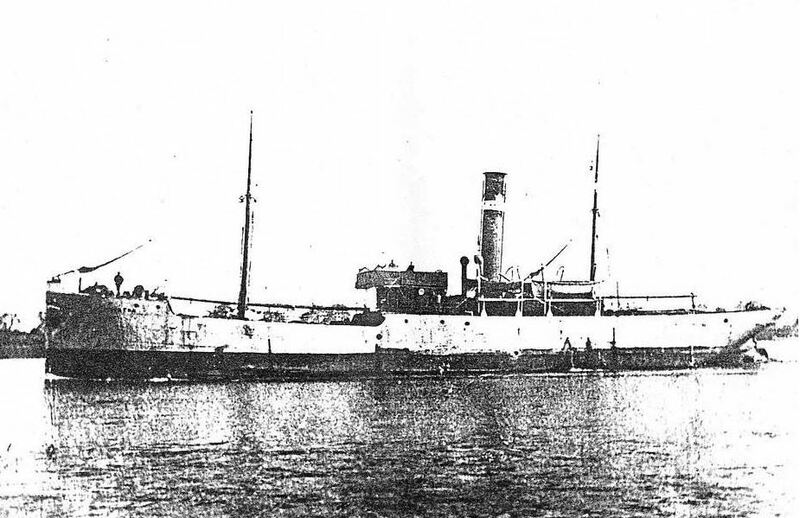 The Aracan was lost after collision with a steamship on the 9th March 1874. 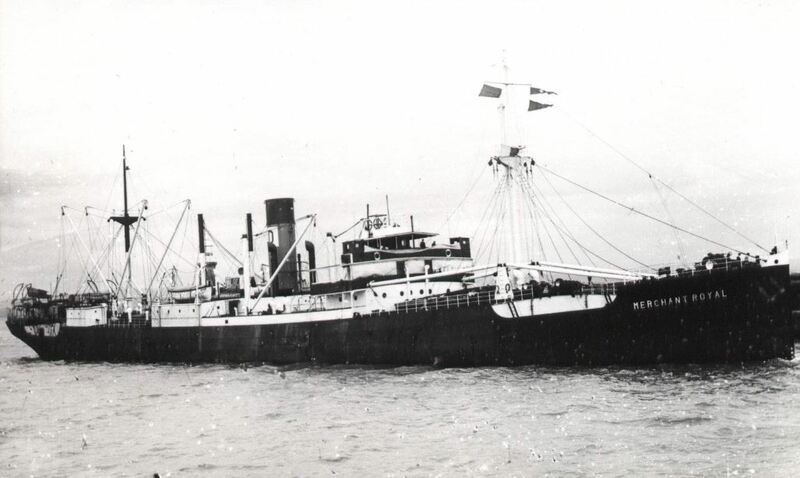 She was outward bound from London for Singapore and Hong Kong with a mixed cargo including supplies for the 80th regiment of foot (Staffordshire volunteers) who were based out in the far east at the time. En route down the channel she collided with the steamship American sixteen miles off Portland Bill. Both vessels were damaged, and after drifting apart the sailing ship began to sink. 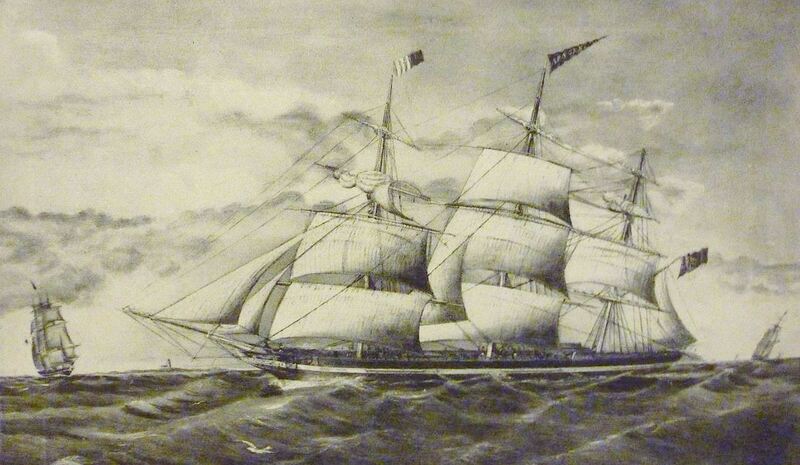 The crew were taken off by the Union Co. steamship Syria, which took them, with the American in tow, to Southampton. The master of the Aracan was Captain Charles Harwood, and no lives were lost on the Brocklebank ship. Discovered and first dived by Grahame Knott in the 90’s, the ship makes for an interesting historical dive. Distance from Weymouth 20 miles. Built in 1904 as a private yacht this vessel was 298ft long with a beam of 32ft and built very much for luxury. She had a swimming pool and showers on deck and was fitted with extensive brass fittings including vented portholes designed for the tropics. Warrior was requisitioned in both World Wars. In World War II she performed naval duties escorting British submarines through the English Channel between Portsmouth and Portland. She was returning to Portsmouth on the 11th July 1940 when she was spotted and bombed by a German aircraft. Although well broken up in places the wreck stands up to 5m high from the seabed. She is a fascinating dive – turquoise tiles still evidence her swimming pool, her bow is largely intact and she has an anchor and Lewis gun just of her port quarter. Depth to the sea bed 54-56m. Distance from Weymouth 19 miles. 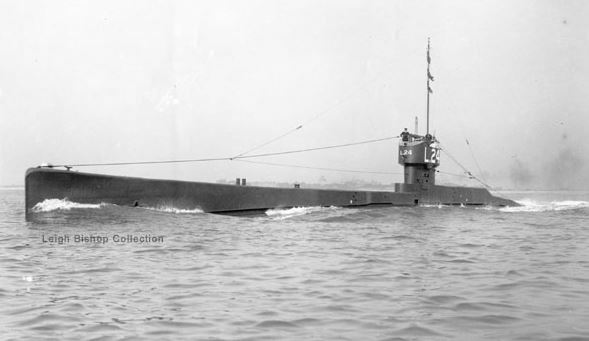 This British submarine was loss on 10th January 1924, sunk following a collision with HMS Resolution. Built in 1920, she measures 239ft long with a beam of 24ft, and a displacement of 1080 tons. Her armaments included a 4in deck gun and four 21 inch torpedo tubes at her bow. The coming tower stands up some 5m to 6m. This submarine was on exercise when she passed across the path of the battleship Resolution at periscope depth. The resulting collision gave her no chance and she went down with all hands. When diving this wreck it is sad to see her hydroplanes set to hard dive as she desperately tried to take evasive action. A hatch is also open and there is obvious damage where the 25000-ton ship sliced into her hull. Distance from Weymouth 19 miles. The Athen was a 2,199 ton British steamship (under German ownership). She was built in 1893 and measures some 227ft long, with a beam of 37ft. she had a single 3 cylinder triple expansion engine, two boilers, and a single prop. She sank on the 18th March 1906 on route from Cardiff to Antwerp following a collision with British steamer Thor of Glasgow with the loss of 11 crew. She was carrying patent coal marked with "Patent Cardiff" a crown. The Athen in this and several other respects bears many similarities to the Romsdalen, but has been identified by her builder’s plate and brass letters from her bow. Today she lies in 56m, and stands upright an impressive 11m. Distance from Weymouth 17 miles. The Merchant Royal is an immense British cargo steamer of some 5,008 gross tons. She has a length of 416ft and a beam of 55 ft. She sank on the 3rd July 1946, carrying a cargo of steel and wood. Although her bows are blown off, her superstructure still stands a full 15m from the seabed. She makes a spectacular dive, with good visibility usually in this area. Care is needed when entering her holds as it is possible to go below seabed depth and reach 60m but if you do find yourself there look out for the copper ingots that were missed by the salvage men. Distance from Weymouth 18 miles. 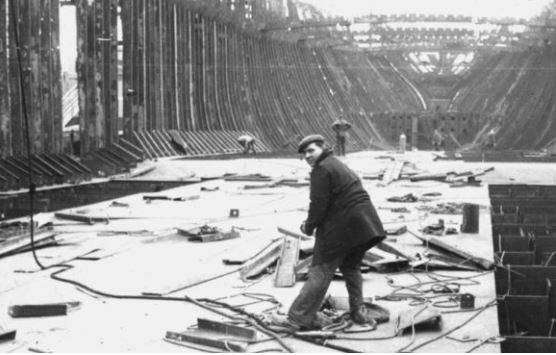 Built in 1883, SS Britannia was a 3028 ton, single screw steamship of some 91m in length. Britannia was on a voyage from New York to London, when on July 31st 1884 she sank following a collision with SS Bellcairn in the Channel to the south of Portland. Today she is well broken, but not often visited and makes for an interesting dive. 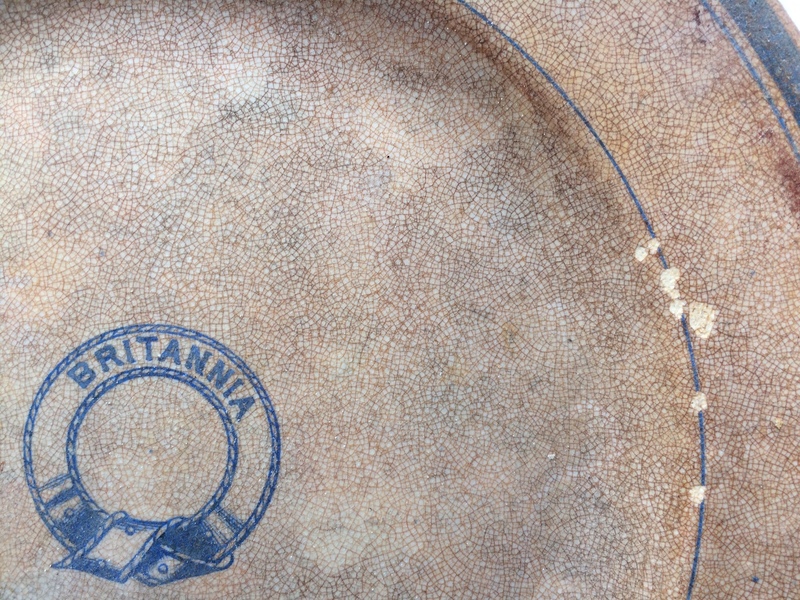 The wreck has distinctive crockery on it marked with Britannia’s name. Distance from Weymouth 18 miles.